Lawrence Sondhaus brings impressive credentials to this work; he is Director of the Institute for the Study of War and Diplomacy at the University of Indianapolis. In his Introduction, Sondhaus makes the point that while the Great War was a conflict distinctive for its unprecedented bloodshed, less than 1 percent of the 8.5 million combatant deaths were naval personnel lost at sea – but this disproportionate distribution of human sacrifice did not mean that the war at sea had a peripheral significance to the final outcome. Far from it. 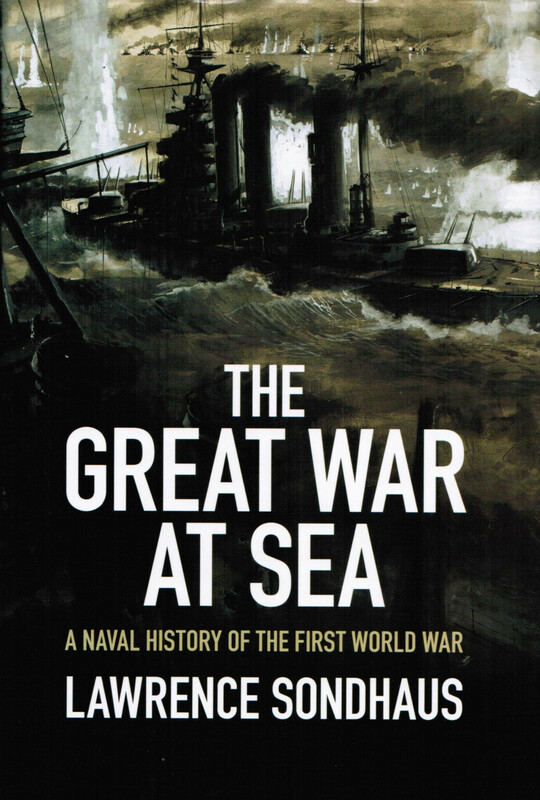 In this major new naval history of the First World War Sondhaus reveals the decisive contribution of the war at sea to Allied victory. In a truly global account, he traces the course of the campaigns in the North Sea, Atlantic, Adriatic, Baltic and Mediterranean and examines the role of critical innovations in the design and performance of ships, wireless communication and firepower. He charts how Allied supremacy led the Central Powers to attempt to revolutionize naval warfare by pursuing unrestricted submarine warfare, ultimately prompting the United States to enter the war. His treatment of this novel and entirely game-changing mode of warfare is particularly engaging, making full use of modern scholarship discoveries in uncovering its development from a German perspective. Victory against the submarine challenge, following their earlier success in sweeping the seas of German cruisers and other surface raiders, left the Allies free to use the world’s sea lanes to transport supplies and troops to Europe from overseas territories, and eventually from the United States, which proved a decisive factor in their ultimate victory. Compellingly written and well documented, with maps, photographs and an extensive bibliography, this work will appeal to all serious scholars of war and the general reader with a particular interest in The War to End All Wars. Slightly off topic as it is WWII but I have just started reading Brian lavery’s book ‘Hostilities Only’, about the expansion of the RN during the war and the consequent need to train rapidly a vast number of personnel with no previous background of the sea. Fascinating stuff! My dad was on a mine layer as part of the American effort to help lay the largest mine field in history in the North Sea. After the German fleet was bottled up and the war was over, he was transferred to a mine sweeper, and had to clean up all those mines. Were there accidents? Oh, yeah. Possibly less than 1% of the deaths during the Great War were Naval Personnel, what about the losses inflicted on the Merchant Navy by the various phases of submarine warfare? Strictly true and the Merchant Navy suffered grievously but this author does not group them with the Military. Thanks Jules, the MN has always been the forgotten service.